Read a new interview with the author, Joy Field, from Boston College. The service process design landscape is changing, with a much broader range of design options now available. Opportunities for new service design configurations are being supported, to a large extent, by technology-enabled innovations; many tasks previously performed by the service provider may now be performed by either the customer or the service provider. As a result, customers are playing a more active role in the service process not only through self-service but also by providing information to the service provider to create a more personalized service experience. 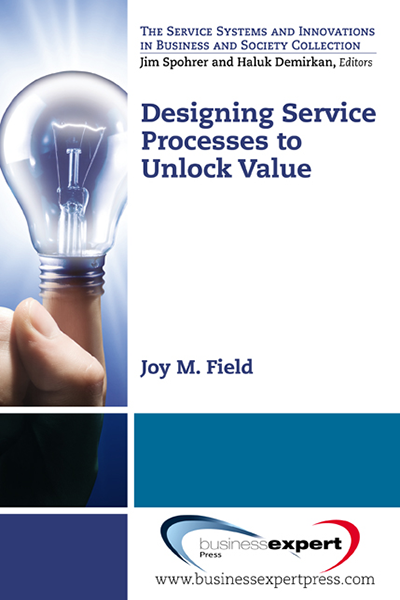 This book explores how service processes can be designed to leverage opportunities for service providers and customers to cocreate value. Inside, you will learn about frameworks for value cocreation and models for designing all types of service processes, as well as the unique challenges of designing knowledge-intensive services. And with the growing involvement of customers in performing service tasks, service process outcomes are increasingly dependent on the capabilities of both service providers and customers. You will learn about real approaches to unlocking these capabilities to further boost value cocreation. The service process design landscape is changing, with a much broader range of design options now available. 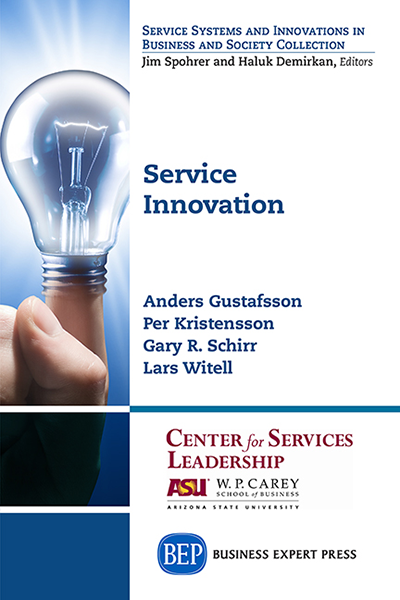 Opportunities for new service design configurations are being supported, to a large extent, by technology-enabled innovations; many tasks previously performed by the service provider may now be performed by either the customer or the service provider. As a result, customers are playing a more active role in the service process not only through self-service but also by providing information to the service provider to create a more personalized service experience. 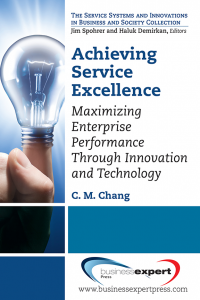 This book explores how service processes can be designed to leverage opportunities for service providers and customers to cocreate value. 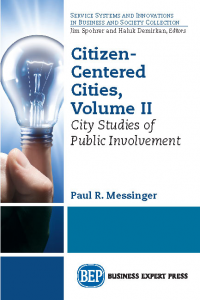 Inside, you will learn about frameworks for value cocreation and models for designing all types of service processes, as well as the unique challenges of designing knowledge-intensive services. And with the growing involvement of customers in performing service tasks, service process outcomes are increasingly dependent on the capabilities of both service providers and customers. You will learn about real approaches to unlocking these capabilities to further boost value cocreation. The service process design landscape is changing, with a much broader range of design options now available. Opportunities for new service design configurations are being supported, to a large extent, by technology-enabled innovations; many tasks previously performed by the service provider may now be performed by either the customer or the service provider. As a result, customers are playing a more active role in the service process not only through self-service but also by providing information to the service provider to create a more personalized service experience. 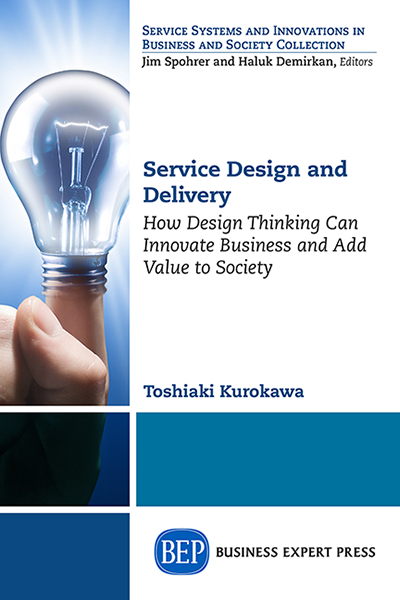 This book explores how service processes can be designed to leverage opportunities for service providers and customers to cocreate value. Inside, you will learn about frameworks for value cocreation and models for designing all types of service processes, as well as the unique challenges of designing knowledge-intensive services. And with the growing involvement of customers in performing service tasks, service process outcomes are increasingly dependent on the capabilities of both service providers and customers. You will learn about real approaches to unlocking these capabilities to further boost value cocreation.